The German STUKA dive-bomber also known as the Black Knight was made famous during WWII for its pinpoint bomb accuracy and superb ground support. It would cause havoc and instill terror into its victim with its siren blasting during the dive bomb approach. 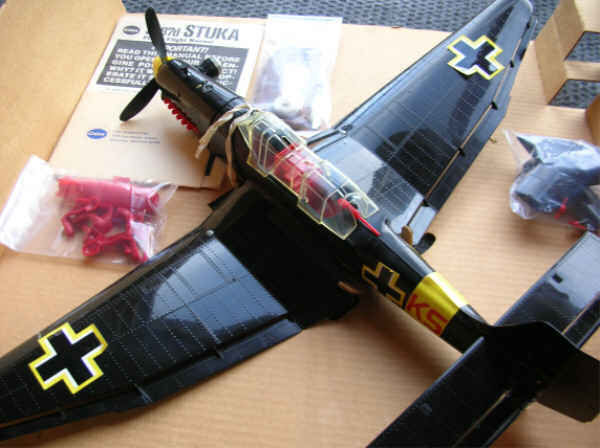 The STUKA was one of the most feared aircraft's during the beginning of WWII. 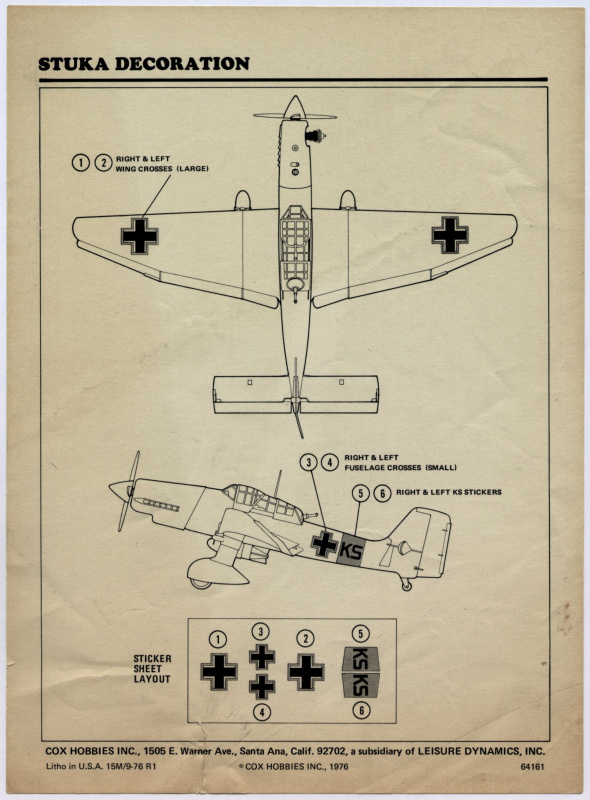 Late in WWII the STUKA took the role of tank buster and once again was feared by American and British tank crews. 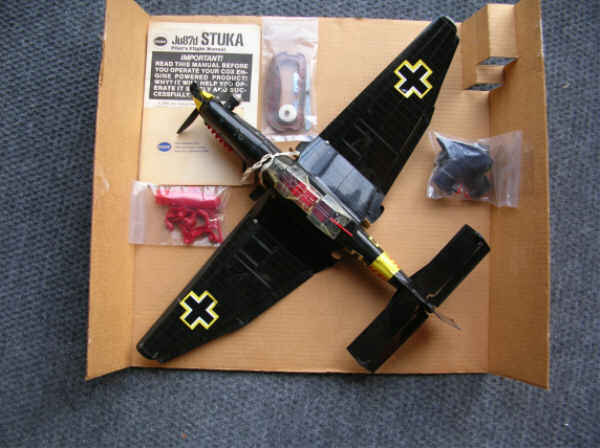 My Ju87d Stuka control line model plane is the black version produced by COX issued from 1974 to 1980. 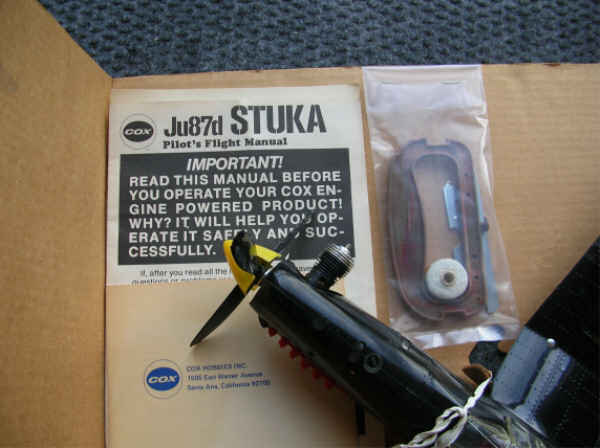 My COX Stuka is from 1977 as the box dates from that year and the instructions date from 1976. 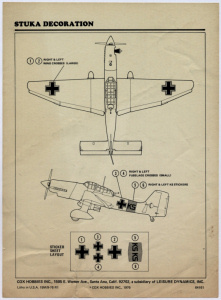 The Stuka is one of the more sought after planes produced by COX. 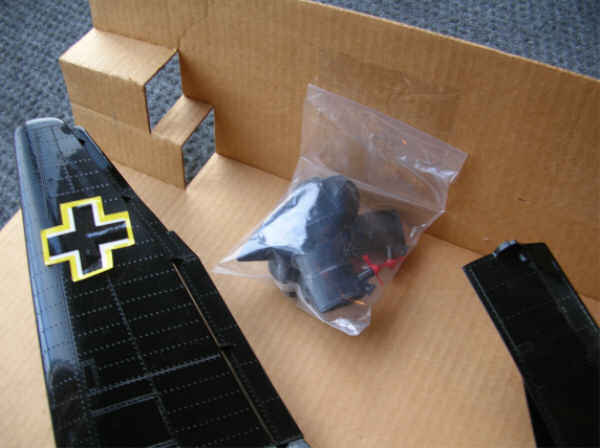 This version of the COX Stuka has the landing gear bolted on to the wings and has rubber tires and a side mounted .049 engine. 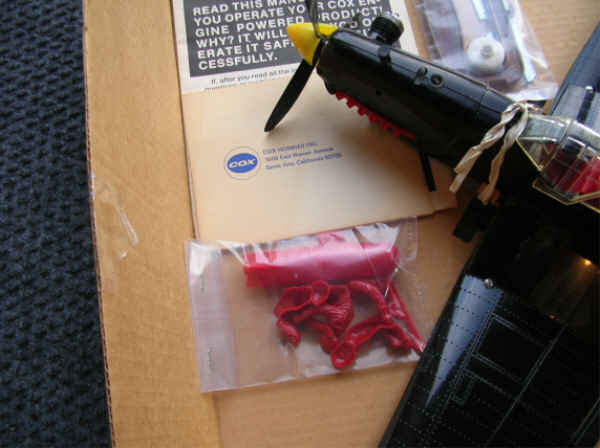 It has not been flown nor has it been fueled and is complete with original owner flight manual and more. The decals are original however they weren't placed on the plane very nicely. I'm very happy to be owning this fine model plane as it was the same version that I tried to fly as a very young kid some time in 1976/77. Currently 21 users are browsing this web site, 628060 having visited since June 8th, 1997.